Two people were injured after wrong-way driver caused a crash on the Dan Ryan Expressway Sunday afternoon, police say. 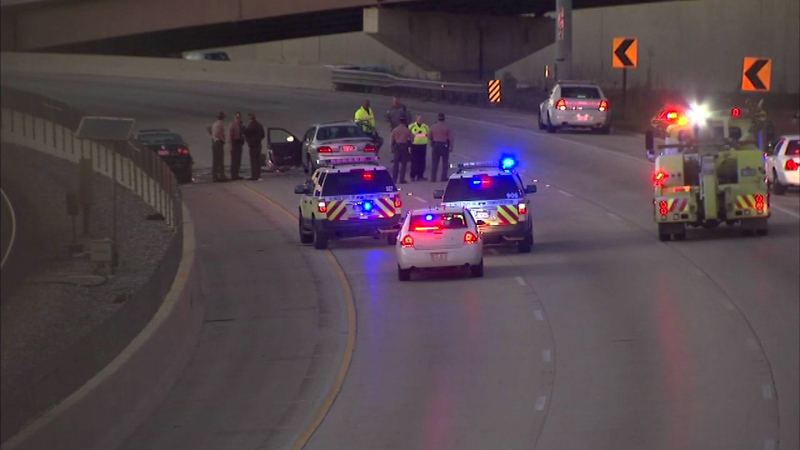 CHICAGO (WLS) -- Two people were injured after wrong-way driver caused a crash on the Dan Ryan Expressway Sunday evening, police say. Illinois State Police say alcohol was a factor in the crash near 68th Street that left the male driver in serious condition and facing charges, and a second driver in fair condition at Northwestern Memorial Hospital. Both drivers had to be extricated from their vehicles after the crash. All lanes of the inbound Dan Ryan near the crash were closed while crews work to clean and secure the area, but re-opened late Sunday night. Check back with ABC7Chicago.com for more information on this developing story and tune into ABC7 News at 10 p.m. for the complete story.